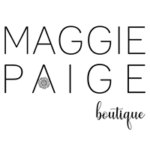 Maggie Paige Boutique was founded on the belief that beautiful, affordable fashion can be accessible to all women. Inspired by my grandmother (Margaret), I wanted to create a place for women & girls to come, get dressed and feel good about themselves. When I was a young girl, Mom-Mom used to bring me in her room, lay out all of her beautiful costume jewelry, purses, and accessories and let me try them on, mixing and matching to my heart’s content. Since then, I have loved creating unique looks and expressing myself through fashion & accessories. Maggie Paige is about more than just clothing and jewelry: it’s about creating a community of women who feel empowered to express themselves and be exactly who they want to be. I can’t wait to share my vision with you. To start, we will be offering amazing new items for sale through our online Maggie Paige Gals Group. Comment below if you want to be added to this group! We hope to open up our brick & mortar location in the heart of Uptown Pitman in the future.